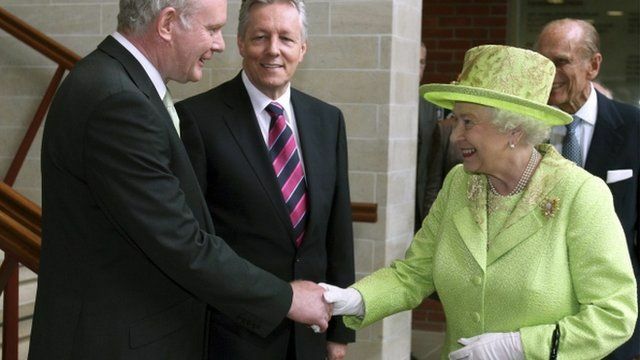 The Queen has shaken hands with ex-IRA commander Martin McGuinness for the first time, during her visit to Northern Ireland. But the leader of the Traditional Unionist Voice, Jim Allister, said the meeting was a Sinn Fein stunt. "There's no sincerity about it," he told the BBC.